SonicSonic has a batch of new Slush flavours, but one — the Pickle Juice Slush — has got everyone talking. Sonic rolled out its pickle-flavored juice slush on Monday, after announcing the new product in March. Some customers have taken to social media to express their confusion about the new product. Monday, June 11 will go down in history as a confusing day in the fast-food industry. The pancake chain IHOP announced that it had temporarily changed its name to IHOb because it was promoting a new line of burgers. Then, drive-in restaurant Sonic debuted its new pickle-flavored juice slush. The new drink, which was announced earlier on in the year, is described by Sonic as having a “sweet yet tart” taste. But according to a Food & Wine review, it’s anything but sour. In fact, the reviewer criticises it for being too sugary. “You won’t understand why, but you’ll keep going back for more sips, likely until it’s all gone. Our only gripe is that the slush is a bit too sweet, as if overcorrecting for the acidity, but maybe this is what has to happen for America to acclimate to – and embrace – pickle-flavored soft drink,” the reviewer wrote. Pregnant women who OWN their salt cravings rejoice! At @sonicdrivein you can now get a "Pickle Juice Slush." Every 10 that you buy gets you a new, even LARGER pair of Sonic branded SWEATPANTS!!! 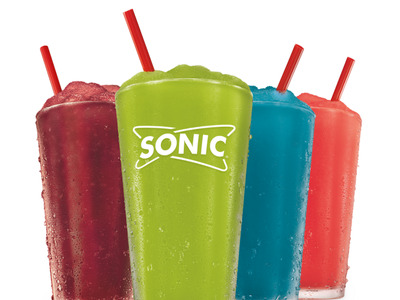 The Pickle Juice Slush is joined by three other new summer flavours, which will be available at participating Sonic restaurants for a limited time: Bahama Mama, Blue Hawaiian, and Tiger’s Blood.